Coastal Animal Hospital’s staff is comprised of experienced and caring individuals aimed at making your next visit to the veterinarian the best one yet! Dr. Evans is a San Diego native. He moved away to begin the pursuit of his undergraduate and veterinary degree from the University of California, Davis. He completed his B.S. in Biology: Neurobiology, Physiology, and Behavior. Throughout his time in Davis, he played for the men’s volleyball team, spent a quarter in Costa Rica learning tropical biology, then spent a quarter to be part of a research team in the jungles of Peru studying the Black and Chestnut eagle. After receiving his veterinary degree, he set off to New York City to participate in arguably the most intensive internship in the country. During the year, he was trained by some of the top veterinarians in emergency and critical care, internal medicine, surgery, ophthalmology, cardiology, neurology, pathology, and radiology. There he started his first mobile veterinary practice and traveled to each of his appointments with his black medical bag via the NY subway system. Upon his return to San Diego in 2007, he re-started his housecall practice which then allowed him to open Coastal Animal Hospital. He founded The HANA Fund , a 501(c)3 non-profit corporation dedicated to providing free and low cost veterinary care to homeless and financially needy families. He is also a veterinary advisor toPetzamand previously Tailio , is the current president of theLeucadia 101 Main Street Association, and is a black belt in the Korean martial art Tang Soo Do. He has a core belief in shopping local small businesses and would like to encourage those ideals and philosophies in the community. In his free time, he enjoys surfing, camping and hiking, photography, and traveling. Dr. Evans lives in Leucadia with his family, including his two dogs, Zoey and Sia, and his 6 opinionated chickens. Dr. Tedder grew up in southern California but traded his surfboard in for a snowboard when he attended Colorado State University. In 2001 he graduated with a BS. in Microbiology and Chemistry and began epidemiology research for the university. He aided in developing a rapid diagnostic test for horses with Strangles. 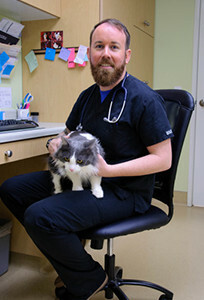 Through field work and interaction with veterinarians, he quickly fell in love with veterinary medicine and, despite his allergy to cats, decided to pursue a career in small animal medicine. After graduating at the top of his class for radiology from Colorado State University’s school of Veterinary Medicine in 2012, Dr. Tedder moved to Honolulu, HI to work in private practice. After practicing in Hawaii for 4 years, he and his family have returned to beautiful southern California and became a part of the Coastal Animal Hospital family. 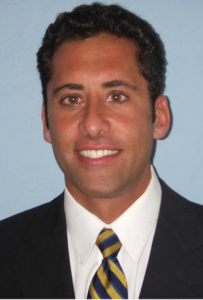 His professional interests include radiology and imaging, soft tissue surgery, and pet owner/ parent education. When he is not at the clinic, his wife and two kids keep him busy surfing and playing at the beach, hiking, mountain biking, splashing at the pool, and exploring museums. 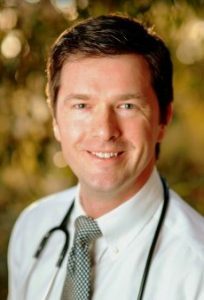 Dr. Christopher Clark was born in Orange California but grew up near Portland Oregon. He did his undergraduate studies in Physiology at UC Santa Barbara and then graduated from The Ohio State University, College of Veterinary Medicine in 2013. Dr. Clark then went on to complete a rigorous internship at VCA West Los Angeles, the largest non-university veterinary trauma center west of the Mississippi. He has advanced postgraduate training in medicine, surgery, cardiology, neurology, ophthalmology, and radiology. After completing his internship, he and his wife moved to San Diego in 2013. 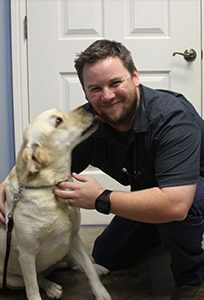 Dr. Clark joined the Coastal Animal Hospital team in July of 2018. His interests include dentistry, surgery, dermatology, and radiology. He stays up to date on current medicine with frequent attendance of continuing education lectures, online seminars, and listening to veterinary podcasts. Dr. Clark lives in Carlsbad with his wife, two sons, his dog Mason, and their cats Calypso and Tessa. 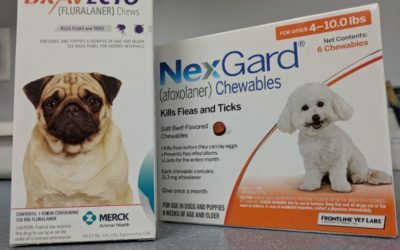 In their free time, Dr Clark and his family enjoy going to the beach, camping, gardening and relaxing at home with all of their four-legged creatures. You may catch him fishing down at the beach sometimes pursuing his personal best California Halibut or Barred Surfperch. Come say hi! 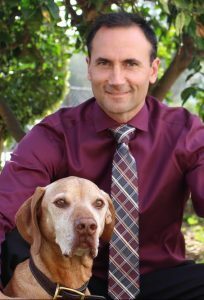 Dr. Hayles is a long time San Diego resident, completing a Bachelor of Science at UC San Diego in Animal Physiology and Neuroscience in 2000. Dr. Hayles completed the Doctor of Veterinary Medicine (DVM) program at UC Davis in 2006.After completing his veterinary degree, Dr. Hayles began a competitive one-year rotating small animal internship at the Veterinary Medical and Surgical Group (VMSG) in Ventura, CA. This year included intensive training by veterinary specialists in radiology, surgery, internal medicine, emergency and critical care and oncology. Directly following his internship, Dr. Hayles began a three year radiology residency at Washington State University (WSU) College of Veterinary Medicine. His training in diagnostic imaging was overseen by highly accomplished veterinary radiologists and included small and large animal diagnostic ultrasound, radiography, magnetic resonance imaging (MRI), computed tomography (CT), fluoroscopy and nuclear scintigraphy. Concurrently, Dr. Hayles earned a Masters in Veterinary Science (MS) degree, with research focusing on abdominal MRI and correlations to abdominal ultrasound; specifically regarding adrenal gland anatomy. In 2010, Dr. Hayles successfully completed his written and oral board examinations to become a veterinary radiologist, certified by the American College of Veterinary Radiology (ACVR). After several months remaining at WSU as a clinical instructor, Dr. Hayles and his wife, Andrea returned to Encinitas. When not working, Dr. Hayles enjoys surfing, ultimate Frisbee, travelling and spending time with his wife, two sons, Alexander and Andrew (Drew), his dog named Charles Jr. and cat named Bali. Dr. Herndon attended the University of Arkansas and the University of Central Arkansas obtaining a bachelor’s degree in biology (major) and chemistry (minor). After graduating from veterinary school at Mississippi State University (2000) he completed his internship and cardiology residency training at the Ryan Veterinary Hospital of the University of Pennsylvania, Philadelphia (2003). A portion of his residency included working at Cardiopet VRC in Little Falls, NJ (2001). Early in his career, he performed clinical research focused on evaluating new blood testing for dogs and cats with cardiopulmonary disease. For over a decade, Bill has enjoyed being a consultant at Veterinary Information Network (VIN). VIN is an online community of veterinary colleagues that interact in case consult chat rooms, obtain online CE, utilize a consolidated database of publications and continuing education meetings, read online books, and generally interact to solve problems of the world. 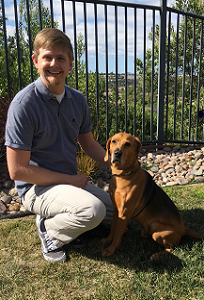 In his new clinical role at California Pet Specialty, he is hopeful to spend more time on VIN. Since moving to California from Washington DC over 10 years ago: Bill has given over 37 hours of continuing education to veterinarians in the region (excluding intern rounds) and examined over 2,400 Cavalier King Charles Spaniels. 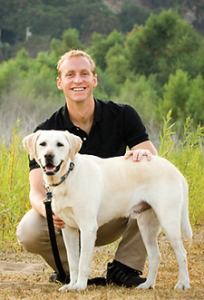 He is board certified veterinary cardiologist and a member of the ACVIM, AVMA, CVMA and SDVMA. Born and raised in the Washington, DC area, Dr. Frankel graduated from Amherst College in Massachusetts in 1993. He then spent a year training horses and teaching skiing in Jackson Hole, Wyoming prior to attending the Virginia-Maryland Regional College of Veterinary Medicine. There he earned numerous academic awards including the Scholarship for Highest Academic Achievement in Veterinary Medicine. Upon graduation in 1998, Dr. Frankel returned to Wyoming for two years of general veterinary practice before venturing north of the border to complete a one year internship in small animal medicine and surgery at the Ontario Veterinary College. His training culminated in a 3 year small animal residency and masters of science program at Colorado State University. Dr. Frankel was accepted as a diplomate of the American College of Veterinary Surgery six months thereafter. He has authored several scientific articles on topics including total hip replacement and surgical treatment of liver shunts. He has also completed advanced training in TPLO, TTA, total hip replacement, minimally-invasive surgery, and regenerative medicine. 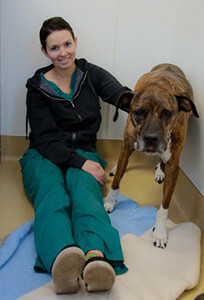 Yami has worked within the veterinary field for several years, having joined our team the summer of 2012. Yami has been with Coastal almost since the beginning and is an integral part of the team. Since then, Yami has grown with our hospital into the lead veterinary technician and earned her veterinary technician license in July of 2017. Yami has been a strong advocate for keeping Coastal at the forefront of exemplary veterinary medicine and is always looking for ways to improve patient care. While not at work, she is kept busy with her family adventures, hiking, camping, and finding new restaurants. Nicole was born and raised in Ontario, Canada and moved to Northern California in 2005. Nicole started a volunteer position at a local animal shelter in Fort Bragg, California where she fell in love with animals. In particular, Nicole fell in love with an American Staffordshire/Boxer/Rottweiler mix named “Soxy”. Soxy passed away in October of 2015 and now she is a mother to a new sweet/crazy boxer rescue named “Harbor”. Nicole has been to 24 States in the U.S., and also enjoys hiking and taking Harbor to the beach. Looking far forward into retirement, Nicole plans to one day open a Pit Bull rescue center that would be created to rehabilitate dogs and find them suitable homes. MacMillan received her first dog, Kringle, in a stocking at Christmas in 1979. It was love. 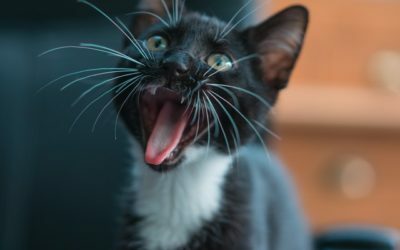 During the years that followed, MacMillan’s house was filled with numerous adopted cats, Australian shepherds, rabbits, iguanas, cockatiels, a love bird, rats, turtles, fish, and chickens. Raised in New York City, MacMillan relocated to Del Mar for high school and interned with the family veterinarian. Then, after studying at the University of California, Santa Cruz, MacMillan pursued her animal passion by working at several Santa Cruz veterinary hospitals. In June of 2013, MacMillan returned to Del Mar with her two sons and their Himalayan cat, Banshee. When not at work, MacMillan can be found running the byways from Leucadia to Del Mar or delighting in beach pleasures with her boys. Looking forward, MacMillan plans to complete her AS Degree in Veterinary Technology and work toward becoming a “RVT”. Andrea, a California native, grew up with a passion to work with animals. From pet sitting to boarding facilities, she eventually worked her way to becoming a veterinary assistant. Over the past ten years of working in vet hospitals, she has gained experience in holistic medicine, emergency medicine, as well as exotics. Along the way, she started her own in-home pet sitting and nursing care business for pets with special medical needs using her veterinary technician background. In her free time, she enjoys life by the beach and outdoor adventures with her furry partner in crime, Knack. Karina’s love for animals started with her annual family trips to their ranch in Tepatitlan, Jalisco at the age of four. There she was surrounded by cows, horses, pigs, and even ostriches. She learned the hard work and responsibilities of each animal’s proper care. 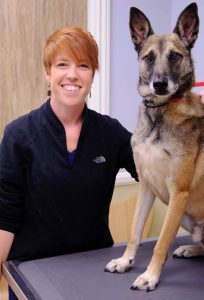 She attended Mira Costa college and earned her certificate of training to become a veterinary assistant. Her next goal is to become a Registered Veterinary Technician. She is the mother of a chihuahua, a jack russell terrier mix, a hamster, guinea pig, and two goldfish. She enjoys hiking, yoga, reading, and riding quads and jet skis.